There are distinct differences between state and federal crimes and how they’re handled in the courts. Here’s what you need to know about the differences. Facing charges of any kind can be a worrisome time. You’re naturally worried about your future and the criminal process, including the trial and the potential consequence if found guilty. To further complicate matters, there are two different types of courts – those that serve on the state level and those that hear trials for federal cases. When preparing for your defense, it’s important to understand the difference between state and federal crimes. It’s also imperative for any individual facing federal charges to work with an experienced federal criminal defense lawyer. If you have been involved with a federal crime in Texas and are looking for the best federal criminal defense lawyer to handle your case call the office of Broden & Mickelsen. Local law enforcement has the obligation to uphold their state constitutions and anyone who is suspected of violating a state law can be arrested and charged accordingly. Likewise, there are also crimes that violate federal laws, and in many cases the two branches of law overlap. Here is the information you need to help you determine why you’re facing charges for state crimes, federal crimes or both. What Are Federal Crimes in Texas? Federal crimes in Texas are viewed the same in every state because they are based on federal law. When a federal crime has occurred, it is investigated by governmental agencies whose jurisdiction extends beyond the local or state level. For instance, depending on the type of crime that was committed, it might be investigated by the Internal Revenue Service (IRS), Federal Bureau of Investigation (FBI), Border Patrol or the Drug Enforcement Agency (DEA). A defendant in a federal case can expect to be prosecuted by a United States Attorney as opposed to the state’s District Attorney. Any sentencing that results from a federal trial will follow federal guidelines which may include a period of incarceration in federal prison. Additionally, there is a Federal Interstate Commerce clause that exists to grant the federal government criminal jurisdiction in crimes that involve interstate businesses or crimes that occur in multiple states – for example, inappropriate conduct that occurs with a minor across different state lines. How Do State Crimes in Texas Work? If you have been involved with a state crime in Texas and are looking for the best criminal defense lawyer to handle your case call the office of Broden & Mickelsen. To be charged with a state crime, a person must have violated a law of their state or that of a local city or municipality. When facing trial for a state crime, a defendant can expect to be prosecuted by the Texas State District Attorney. Penalties for state crimes might include incarceration in a state jail facility as opposed to a federal penitentiary. Federal judges are bound by federal guidelines when delivering a sentence in response to a guilty verdict. State judges have more leeway in determining sentencing, which often means that when comparing similar crimes where one was tried on the state level and the other in a federal court, a conviction by a state court typically comes with more lenient sentencing. For this reason, in the event that a crime could be considered both a state and federal crime, the defense attorney will argue that their client’s case should be tried on a state level only to reduce the possibility of more severe penalties. An experienced criminal defense attorney in Dallas can help you understand the difference between a state and federal crime, and how your case will be tried. In some cases, it is possible to go to trial in both the state and federal court for the same crime. 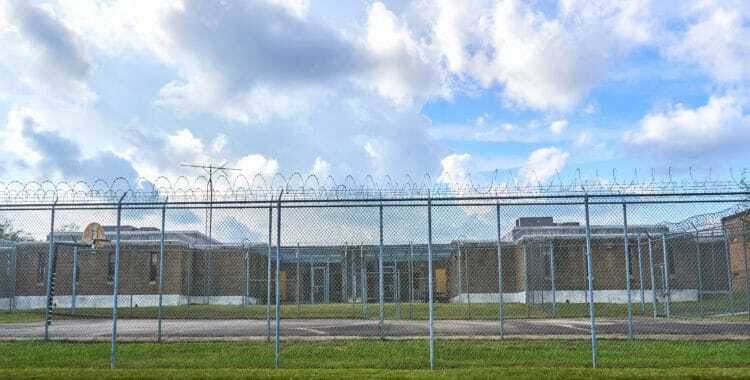 While state crimes are often shown more leniency, that isn’t always the case in Texas where the judicial system is known for being one of the toughest in the nation. When it’s your future that’s on the line, the most important thing you can do is work with an experienced legal team to defend your case. Contact a Dallas criminal defense attorney today.